Are we surprised he's chill? The Dalai Lama is totally at peace with the idea of a female successor, he said at a press conference in Sydney, Australia Thursday. "If the circumstances are such that a female Dalai Lama is more useful, then automatically a female Dalai Lama will come," he said, after an Australian audience asked him to weigh in on the so-called gender wars between Prime Minister Julia Gillard and her Liberal Party foes. The rhetoric in Australia reached new levels of classiness this week when an opposition fundraiser menu listed "Julia Gillard Kentucky Fried Quail - Small Breasts, Huge Thighs and a Big Red Box" as a main course. True story. The 77-year-old Dalai Lama of course took a more philosophical slant on the question of Australian sexism, saying the world faces a "moral crisis" of inequality and suffering, and needs leaders with compassion. 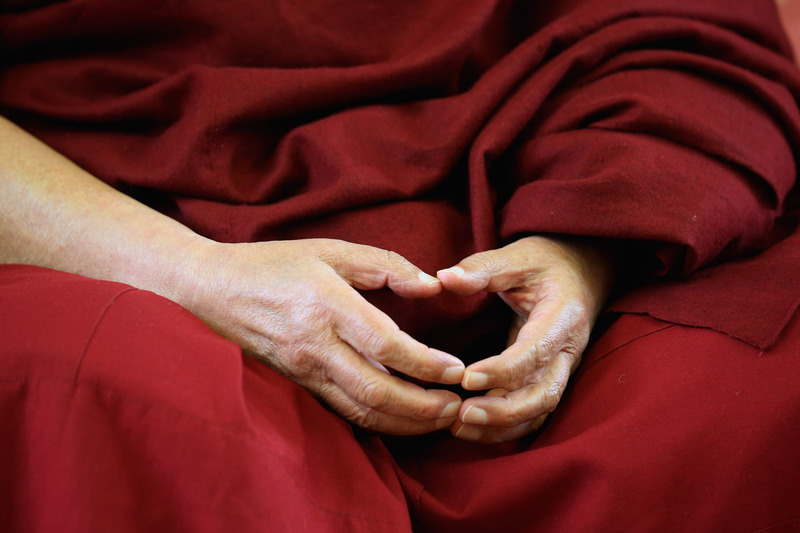 "In that respect, biologically, females have more potential," the Dalai Lama said. "Females have more sensitivity about others' well-being." We're all for it – especially if by "sensitivity" he means "total badassness as exemplified by our favorite feminist Australian Prime Minister."